Given growing awareness among-st people regarding their health, more and more people have become inclined towards alternative medicine. There are several types of alternative medicine available that are either used individually or complimentary to conventional medicine to augment its effectiveness. One such alternative therapy or practice that is widely used by practitioners of modern medicine along with traditional medicine is ‘Applied Kinesiology’. It’s a technique of healing through which an ailment or disease could be diagnosed using muscle testing i.e. by testing the strength and weakness of muscles. 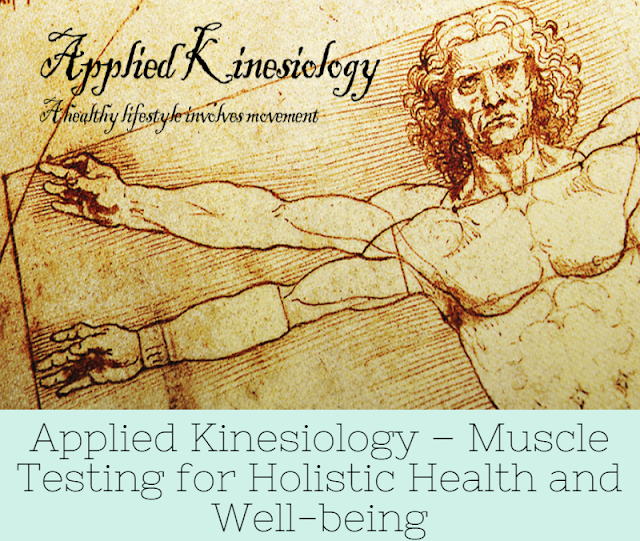 To be more precise, Applied Kinesiology (AK) is a system that assesses chemical, structural, and mental aspects of health using manual muscle testing along with other standard treatment methodologies. The goal of applied kinesiology is to find and deal with the root cause of a disease in the body. The treatment usually begins with chiropractic adjustment, which is then followed by AK if the issue remains unresolved with chiropractic adjustments. Although Applied Kinesiology includes manual muscle testing, the treatment doesn’t involve determining the power that a muscle can produce. Rather it evaluates how the muscle function is being controlled by the nervous system. This is one reason why Applied Kinesiology is better known as "Functional Neurology". As a matter of fact, nervous system is a complex network of neurons that act as the primary signaling system of our body. The nervous system controls the skeletal and smooth muscle activity of our body, which further controls the way we do all the activities right from standing, playing or talking. The sensory neurons interpret all the sensory organs of sound, sight, taste, touch, and smell. When any of these nerves either becomes dysfunctional or stressed, body shows symptoms of disease. Apart from this, Applied Kinesiology allows health care provider to assess various nerves within the body, and their response to a particular stimulus. Applied Kinesiology mainly finds application in dealing with day to day complaints for which no permanent cure has been found. The evaluation techniques are good at recognizing the causes of problems and can be very useful in analyzing the sources of fatigue that do not have any co-relation with medical causes. So, if you are looking for a reliable practitioner offering Applied Kinesiology in Brighton NY, you will surely come across several reputable practitioners.